A Rough &Tumble is a low impact 1K obstacle course meant to get kids and parents out of the house and enjoying exercise with their friends. This Rough&Tumble is a closed course race that does not go outside of school grounds. Register by Tuesday, April 23 if you want a shirt! Interested in sponsoring the Rough&Tumble? Click here for more information. Want to help with race? We need volunteers! 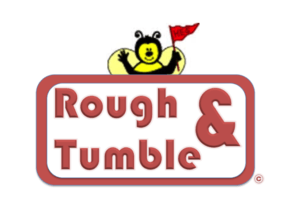 Sign up here to be a part of the Rough&Tumble Team! Special thanks to Old Dominion Racing for making the Rough&Tumble 1K possible!